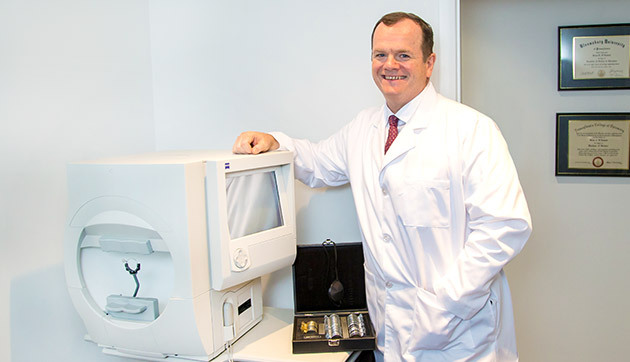 Dr. Brian O’Donnell has advanced training in glaucoma detection and treatment. Glaucoma is a complicated disease in which damage to the optic nerve can lead to progressive, irreversible vision loss. Glaucoma is the second leading cause of blindness worldwide. Dr. Brian O’Donnell combines solid hands-on experience with specialized advanced training in glaucoma detection and treatment. He uses a variety of specialized state-of-the-art technologies to detect, diagnose and manage glaucoma. As glaucoma typically displays no early symptoms, it is important to get a comprehensive eye exam that includes a glaucoma check. Glaucoma is a condition in which pressure increases in the eye because of blocked or clogged passages. Fluid that normally drains through these passages begins to build up. The increased pressure, also known as intraocular pressure or IOP, can damage the optic nerve that carries visual information from your eye to your brain. Glaucoma is called the “silent thief of sight” because most victims experience no symptoms. In fact, glaucoma can damage your vision so slowly you may not notice any loss of vision until the disease is at an advanced stage. About 2% of people over the age of 35 develop glaucoma, with greater incidence in people over 60 and in certain racial groups. Medical conditions such as diabetes, and medications that increase pressure in the eyes can also increase risk. Most people with glaucoma have no early symptoms or pain from increased intraocular pressure. Glaucoma gradually steals eyesight without warning. The disease usually affects peripheral vision first. It generally affects both eyes, although one eye might have more severe signs and symptoms than the other eye. If left undiagnosed and untreated, glaucoma can eventually lead to total blindness. 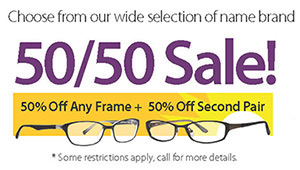 Early diagnosis is the best way to prevent vision loss caused by glaucoma. Dr. Brian O’Donnell diagnoses glaucoma by reviewing your health history and conducting a comprehensive eye examination. Visual field testing, also called perimetry, to check if the field of vision has been affected by glaucoma. Heidelberg Retina Tomograph (HRT) is a laser-scanning device that measures the optic nerve structure. It can detect glaucoma much earlier than with previous instruments. If signs of glaucoma are detected by one test, Dr. O’Donnell will perform more tests and then create a glaucoma treatment plan to help you maintain your best possible vision. Dr. O’Donnell also educates patients on how to best avoid or prevent further development of glaucoma. If you have any symptoms of glaucoma or need continuing care, Dr. O’Donnell will give you a thorough eye exam and consultation. Although visual loss and nerve damage caused by glaucoma can’t usually be reversed, glaucoma is a disease that can generally be controlled. 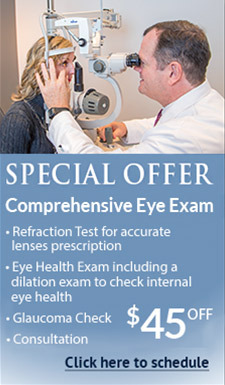 There are a number of medications currently available that Dr. O’Donnell can prescribe to treat glaucoma. Typically, these medications are intended to reduce elevated intraocular pressure. Medicated eye drops aimed at lowering intraocular pressure are usually tried first to control glaucoma. When medication is insufficient, surgery may help lower intraocular pressure. Dr. O’Donnell will recommend seeing an eye surgeon to combat glaucoma if needed to save your vision.